The quote had some beautiful butterflies on it but I wanted to make them pop. I took a water pen and dabbed it in my Bloody Mary PowderPuff Chalk Ink and my Rusty Nail PowderPuff Chalk Ink and colored on the back of the vellum behind the butterflies. I tried to stay in the lines but because I was coloring from behind any little mistakes are behind the black lines and won't show. I also used adhesive under the colored areas and tucked the top under the ribbon for a secure but unnoticeable adhesion. 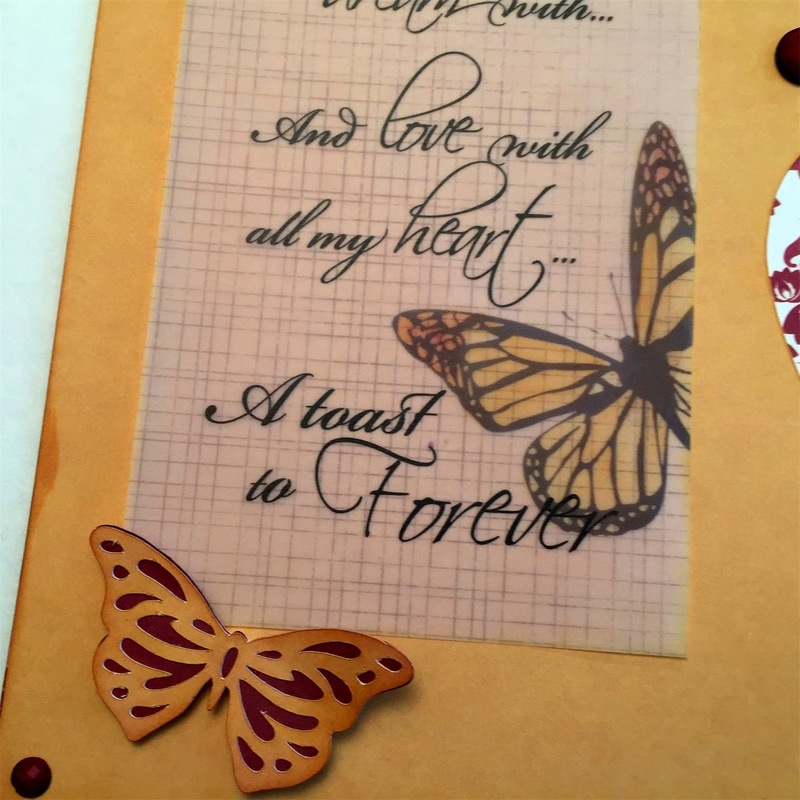 I used my Cricut and cut some butterflies out of the Celebrate paper. Of course, every piece was inked generously with my Powder Puff chalks. I also had some of the wide Cranberry Grosgrain Ribbon that matched the Celebrate paper perfectly! It was so wide I thought it looked good as a title ribbon across the top of the layout. I took the title from the quote and cut it with my Cricut. I wanted a different font for at least one word. I found this large foam "laugh" stamp and used Bloody Mary PowderPuff Chalk Ink to stamp it. I notched the ends of the ribbon and still had a bit left over. 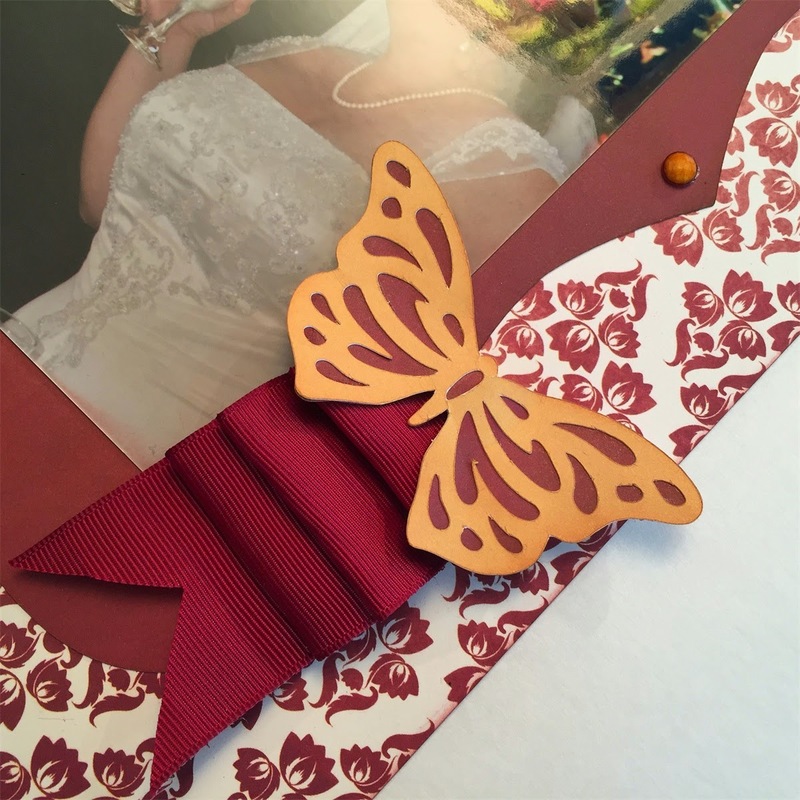 I created some folded ribbons with the remainder and notched those ends and topped with one of my butterflies. I added a few gems and all done! A simple but elegant layout! Great double page layout! Love all the butterflies! Very sweet double page! 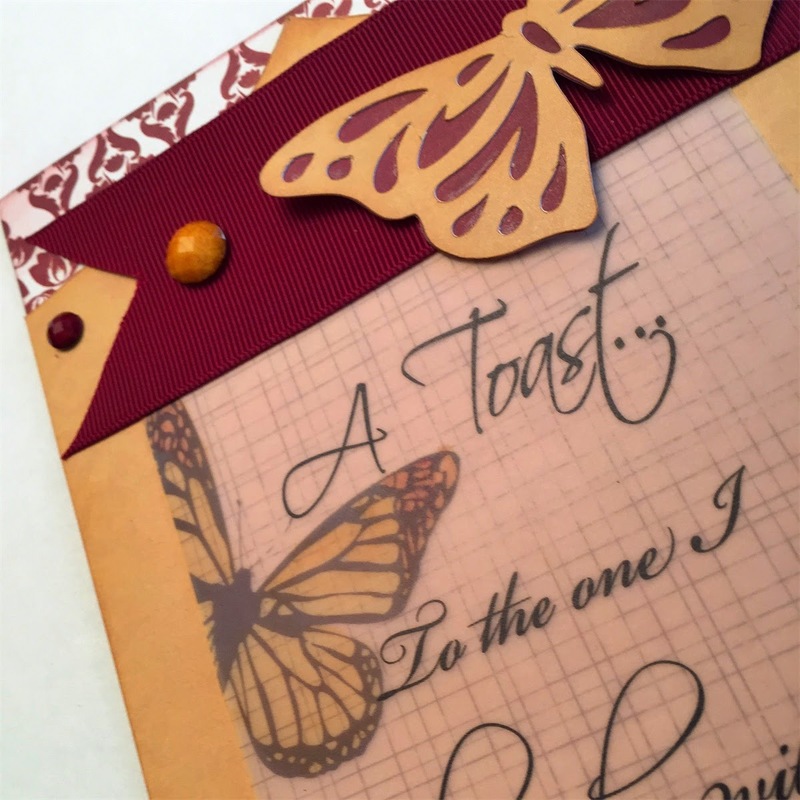 I love how you used the chalk inks to color in your butterfly from the back!! !